"How about this one? It's got lots of history. 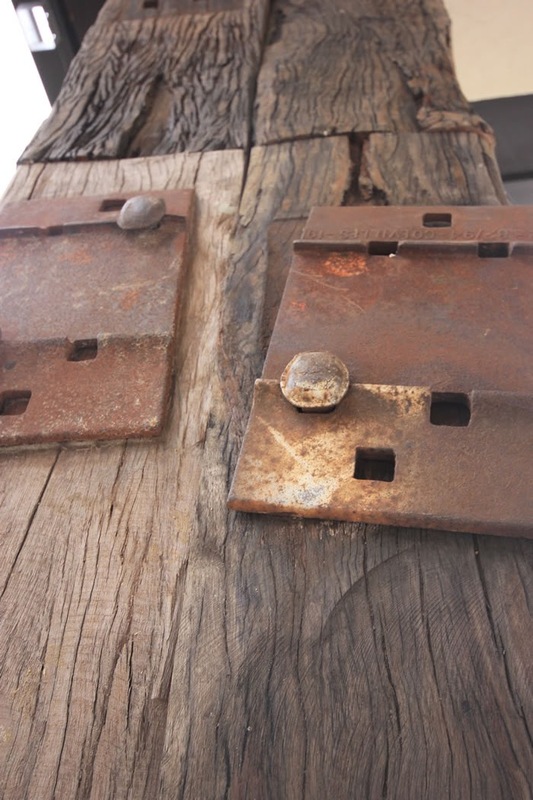 All those rusted rivets and plates - aren't they gorgeous?" Luckily my fabulous clients also get excited about such things. hunting for timber posts for the House on the Hill front porch. And look what we found. Posts from an old railway bridge, nearby the gorgeous part of rural New South Wales, where one of the client's grew up. cut from ironbark trees which would have been that age again or more. forming a welcoming sentinel for visitors. 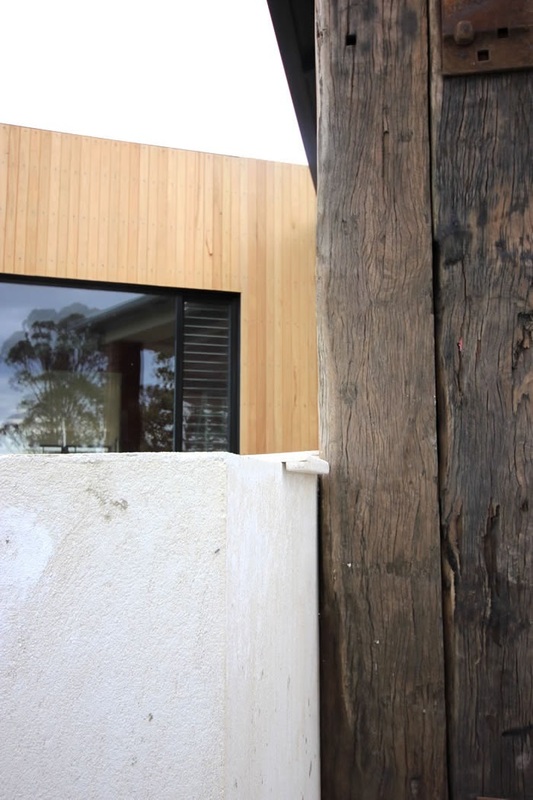 To the left of this ironbark post is a rendered planter box. fed from the porch roof. which will be allowed to weather to a soft silvery grey. to highlight their rugged beauty. The porch floor has been laid with Western Australian limestone in a French Pattern. It happily melds with all the timbers in the building. it's like a little "welcome home" every time the owners walk up those steps.